The Islamic State (ISIS/ISIL) has claimed responsibility for two attacks, killing at least 14 people and wounding an estimated 40 others when suicide bombers and gunmen attempted to storm the headquarters of a counter-terrorism unit in the southern port city of Aden in Yemen, once considered a stronghold of its rival al-Qaeda. 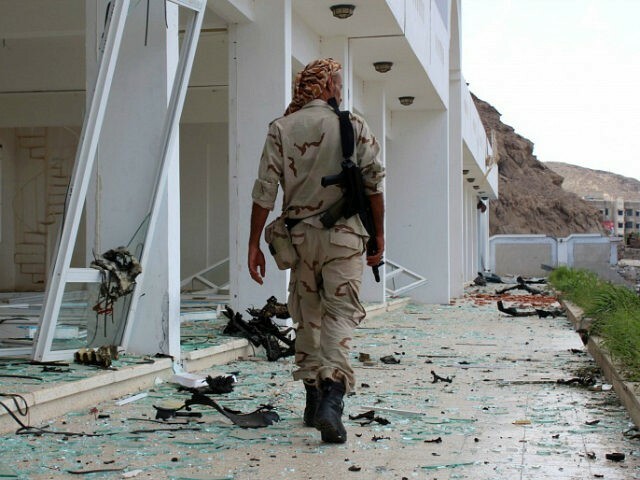 “All the … terrorists were liquidated immediately before they could reach the outer gate of the anti-terrorism headquarters,” the Aden police said in a statement, reports Reuters, noting that the attack took place Saturday. “Security sources and medics said three security men, a woman, and two children died in the attack, while 40 other people, many of them civilians, were wounded,” notes the news outlets. In a statement disseminated by ISIS’s Amaq news agency, the jihadist organization said it carried out two “martyrdom operations” targeting the military camp in southwestern Aden. Months after ISIS declared the establishment of its now annihilated caliphate in Iraq and Syria, the group announced its presence in Yemen. However, the Yemen-based al-Qaeda in the Arabian Peninsula (AQAP) remains the most prominent of the two Sunni terrorist groups in the country where a Saudi Arabia-led coalition has been combating Iran-allied Shiite Houthi (or Huthi) rebels since March 2015. In late December, the U.S. military revealed that it had “conducted multiple ground operations and more than 120 strikes in 2017” to cripple AQAP and ISIS in Yemen. The attack was the first of its kind in southern Yemen since gun battles erupted in January between southern separatists and President Abd-Rabbu Mansour Hadi’s government over control of the city. Aden is the temporary capital of Yemen’s internationally recognized Hadi government, which is now operating out of Saudi Arabia. The Saudi-led coalition has been fighting the Houthi rebels to restore President Hadi to power. “We assess that the Huthis will continue to pursue their goals militarily and that, as a result, US allies and interests on the Arabian Peninsula will remain at risk of Huthi missile attacks until the conflict is resolved,” it adds.